Frank Sloan finally feels at home again. The 30-year-old welterweight has resumed his career following a three-year layoff and is enjoying a fresh perspective of life in and outside the cage. Sloan (3-3) defeated Sal Woods by unanimous decision March 3 and will face Garrett Gross at SFC 290 Friday at the River City Casino. "You learn whether you love it or can live without it," Sloan recollects of his time away from fighting. "I just realized I love it. I'm not here for the pay; I'm here for the fight." 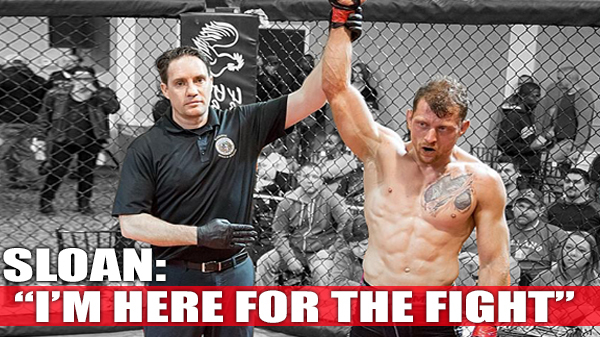 Prior to his Gateway Fighting Series bout against Woods this spring, Sloan had last fought on April 4, 2014, when he dropped a split decision to Dustin Parrish. The gap between those two nights is filled with interference from an injury and life, itself. There was an injury he had to address with no health insurance, meaning delayed treatment. And his personal life also hit tilt-a-whirl mode as he became a father and wound up in a custody battle before relocating from central Illinois downstate to Edwardsville. When the dust settled, Sloan found himself in a new life with a new routine in a new location. Yet the cage remains the same. He admits nursing butterflies prior to his first fight in three years, but also how "the moment" before a fight - when the crowd is loudest yet unheard by a focused competitor - was as familiar as ever and grounded him to the task at hand. The cobwebs were knocked loose when Sloan and Woods connected with simultaneous elbows early in the fight. "It was familiar," he said, "like I had been there." Prior to the injury in 2014, the Decatur, Ill., native won his first six amateur fights en route to an 11-2 record before turning pro. He sprinted out as an amateur in fifth gear, fighting eight times in little more than a year in 2010-11 and four more times between June and November 2011. Sloan had three more bouts in 2012, including his first two pro fights - losses against Jake Murphy and Ryan Storey. He then turned a corner by picking up his first professional win by unanimous decision against Brandon Priest in April 2013. Sloan evened his record at 2-2 with a first-round submission win over Erion Fields March 1, 2014, just more than a month before the fight against Parrish that precluded his undesired sabbatical. When his health returned, it did not take long for Sloan to find the right gym. It was across the river at St. Charles MMA and utilized one of St. Louis' most qualified and seasoned instructors in Mike Rogers. A student of Rodrigo Vaghi for two decades, Rogers also was an all-american wrestler in college as well as a two-time Golden Gloves boxing champion under the tutelage of Jim Howe. As a coach, Rogers has helped fighters reach and succeed in the UFC. It only made sense Rogers and Sloan would connect in the MMA universe. The son of a boxer, Sloan added grappling and jiu-jitsu to an arsenal at the Team Warrior Concepts gym at Springfield, Ill., and quickly rubbed elbows with some of the top young fighters in Chicago. He was selected to join Team USA MMA and was among 16 fighters to participate in international competition both at home and abroad. 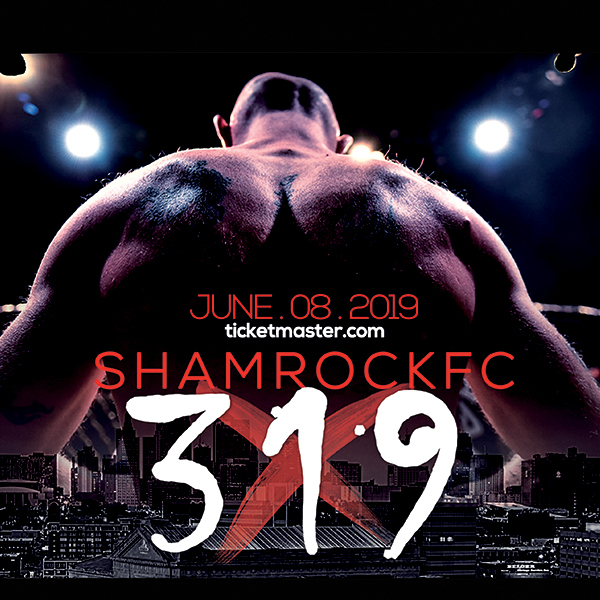 Sloan and his teammates were described by former kickboxing world champion Mick Doyle as "simply some of the most talented and fiercest rising stars of MMA in the country. In the roughly six months he has worked with Sloan, Rogers has identified - and verified - a few favorable traits. "I didn't know Frank before he came to the gym," he said. "I knew of him and knew how tough he was. I couldn't ask for a better person to train. He's a hard worker, smart and a great family man. I feel his fight may be the fight of the night. He's fighting a tough guy and he has a great skill set and lives to be in the cage." Sloan and Gross will be part of the SFC 290 main card this weekend. Gross (9-6) owns a first-round TKO win against Deron Carlis in January during a stretch that has seen him win three of his last four fights. Nonetheless, Sloan said his confidence is at an all-time high for his career. "I've heard [Gross] has got some pretty good hands," he said. "I've heard he's pretty good all around. We just really feel good about anything coming up. No disrespect to anybody. We just really feel good about anything right now." traveling as a construction worker and driving to St. Charles MMA to train daily and returning to tuck them in each night. He knows the clock is ticking on his fighting career and has compartmentalized it among the other important areas of his life. "My career and life felt like they were on pause for too long," he said. "This one thing - win or lose - won't define me. Before anything, I'll be a good dad. I put the kids first and tend to my little dream before they wake up."